Over the past 30 years, I’ve been fortunate to visit many corners of France. However, my travels had never taken me to Poitou Charentes, an omission that I felt it was time to put right. 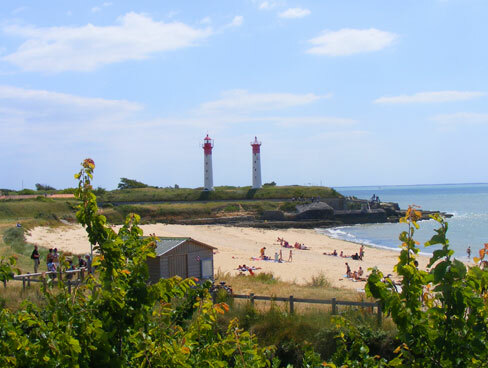 We wanted a central location for visiting Poitou Charentes’ key attractions – the coast (in particular the Ile de Re and La Rochelle), the Marais Poitevin (also known as ‘Green Venice’), the cities of Cognac and Saintes and of course Futuroscope. I love planning our family holidays and enjoyed drawing up our shortlist of potential gites. After closer research on the properties and their locations and of course consultation with Nigel and Chris, I pin-pointed our first choice – Pegon, a gite complex a few minutes’ drive from the little town of Mauze-sur-le-Mignon. 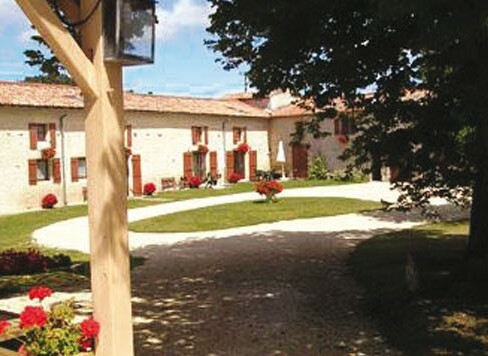 Pegon comprises 5 gites of varying sizes and the advertisement calendar showed that ‘Sunflowers’ was available for half-term week. So we emailed owners Kathleen and Martin Cook and after a short exchange of emails, payment of the deposit confirmed our booking. That was back in March. With our busy life-style, May half-term was upon us very rapidly. 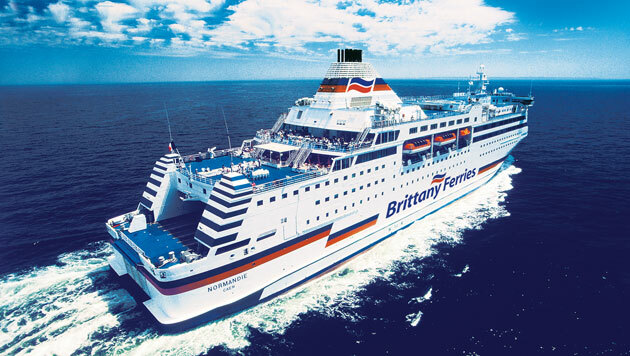 We took the car over on the Brittany Ferries Portsmouth to Caen ferry service, and enjoyed a leisurely crossing with an excellent dinner which catered particularly well for Chris’s and my own vegetarian preferences. Following a very comfortable overnight stop in the Hotel de la Plage in Ouistreham, we headed south. Our drive to Poitou Charentes coincided with the end of the G8 summit in Deauville and we came across convoy after convoy of police and military vehicles, their security duties presumably finished. In fact, never has a service station lunchtime stop-off seemed so safe – the arrival of a car-full of nuns in addition to the police and military personnel saw to this. The further south we headed, the warmer and sunnier the climate and by the time we arrived at Pegon early afternoon, the weather was just as we’d hoped for, swimming pool hot. We were warmly greeted by Kath and Martin, justifiably proud of the gites they’ve largely restored themselves. Sunflowers, with patio at the front and games room at the back, soon became home and with our unpacking done, it was definitely time to cool in the pool. Although we’d already planned our days out, it was really helpful to be able to tap into Kath and Martin’s local knowledge, plus there was plenty of helpful information in the gite on what to see and do. Top of the list for me was ‘Green Venice’, a fascinating area criss-crossed with canals originally dug at the instigation of the monks of Maillezais Abbey which is open to the public to visit and which is one of numerous locations where you can hire a punt. After picnicking under the fruit trees next to the frog-filled ponds, we took a guided tour by punt, the best way to enjoy the idyllic tree-lined waterways. In fact, we were so enchanted by this delightful landscape that we couldn’t resist going back, this time taking a punt from Coulon, followed by lunch in a tree-shaded canal side restaurant – heavenly. My husband’s holiday highlight was undoubtedly our venture to the beautiful city of Cognac. 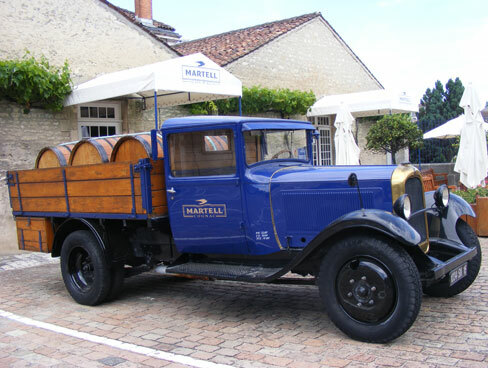 All the big names in cognac production are there and, not being able to decide which to visit, we decided to go to the first that we came across, which was Martell, the oldest of the cognac houses and now part of the Pernod Richard group. The guided tour was one of the very best of its kind that we have experienced and of course finished with a tasting session and a visit to their first rate shop. 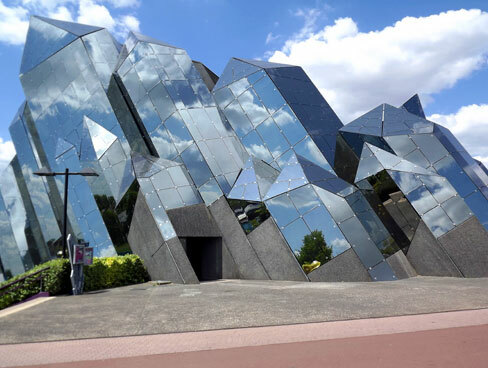 Whilst 14 year old Chris took our visits in his stride, his favourite day out by far was to Futuroscope. For a teenager, this is theme-park paradise with 2, 3 and 4D cinematic-based experiences and rides. The park’s architecture, water-features and grounds all add to an amazing day out. Our only regret was that we didn’t stay for the evening spectacular. 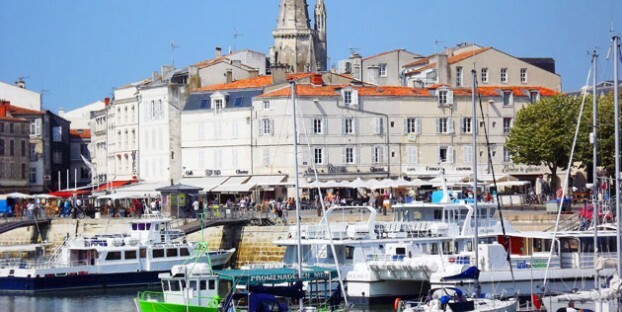 Our week in Poitou Charentes just flew by with visits to both beautiful Ile de Re and Ile d’Aix, Saintes with its spectacular Roman amphitheatre and of course La Rochelle. Our day there just wasn’t long enough to savour the old town, ancient towers, harbour and stunning aquarium. The combination of fascinating and fun days out and the relaxed atmosphere of Pegon was just perfect and the warm, sunny weather simply the icing on the cake. Would we return? Without a doubt but next time for two weeks rather than one! The villa looks fantastic and I would definitely not want to be the designated driver on a trip to Cognac! Sounds like a great trip. 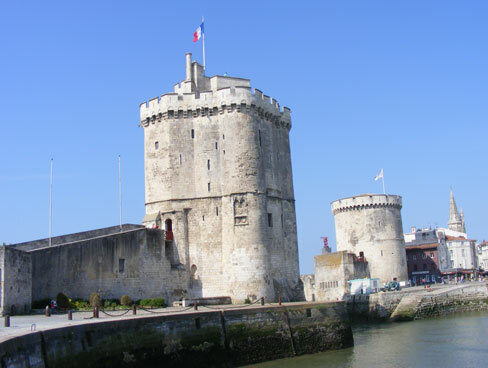 I went to La Rochelle on a cruise 2 years ago and thought it was a place i could go back and spend a LOT more time. A sunny day sat in a cafe on a cobbled street people watching, C’est bon! Quite right, sounds a great trip. Of course, with the fantastic harbour photo of boats, market stalls, cafes and sunshine I just had to have a look. This is my type of luxury – people, shops, sunshine and activity, together with the beautiful commentary. 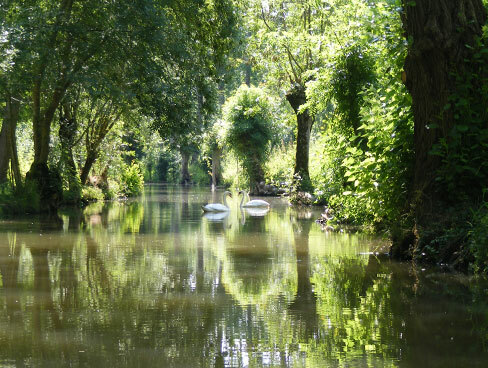 We’ve lived in the Angevin area since 1988, many friends have urged us to discover their secrets of the Marais Poitevin and being only an hour from the top end of this region, what have we done? – a big nothing. But seeing is believing, and your photo of the beautiful waterways will definitely swings things in my favour. – here we come.